I love eggplant,however when it comes to cooking,most of the time I cant think of anything else other than frying. This time I tried something new. Take these in a bowl and mix with 3 tablespoons water to form a paste. 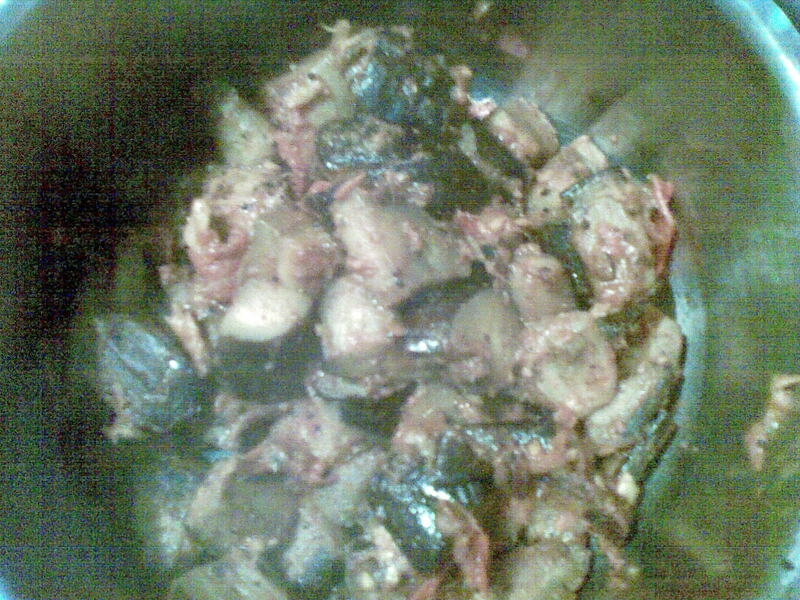 Heat the oil in a pan and shallow fry the eggplants.Keep them aside.Add the tomato to the remaining oil. 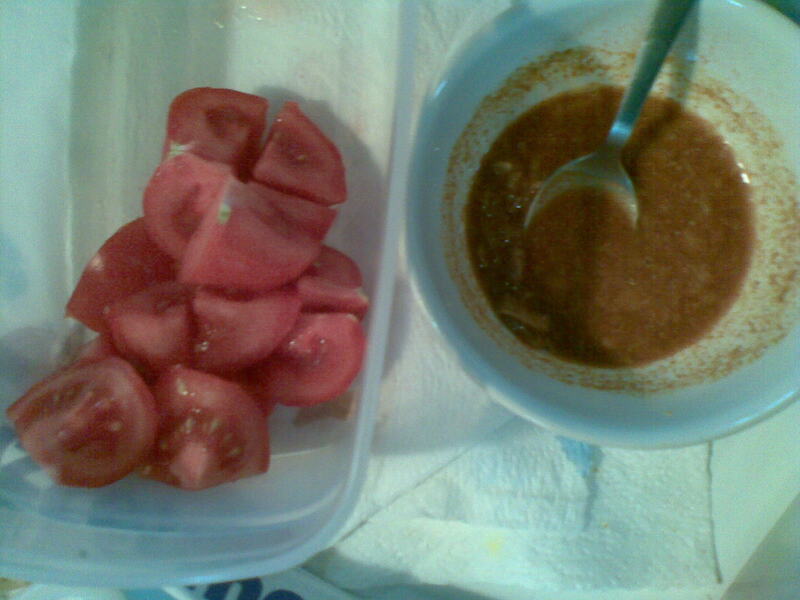 Saute till it becomes tender and releases oil. Add the gravy paste and salt.Add the fried eggplants and mix thoroughly so that they get coated with the gravy paste.Cover and cook on low flame for 2-3 minutes.Serve hot.